This is interesting. Have you ever gotten into a discussion over the different meanings of words in the old testament and wished you understood Hebrew? The Old Testament was written in Hebrew. Jesus and his disciples read the Holy Scriptures and prayed in Hebrew daily. Hebrew is the language of Moses, King David, and so many heroes of our faith. 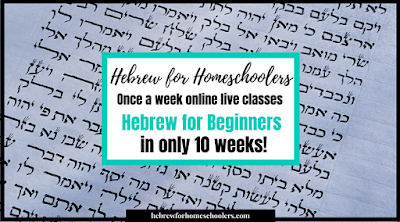 Learning Hebrew brings you into a much deeper understanding of the Bible and strengthens your faith. Can you imagine you and your kids learning to read, write and speak the very language of Jesus and our heroes of the Bible spoke? What if this could unlock an amazing and much deeper understanding of the word of God? 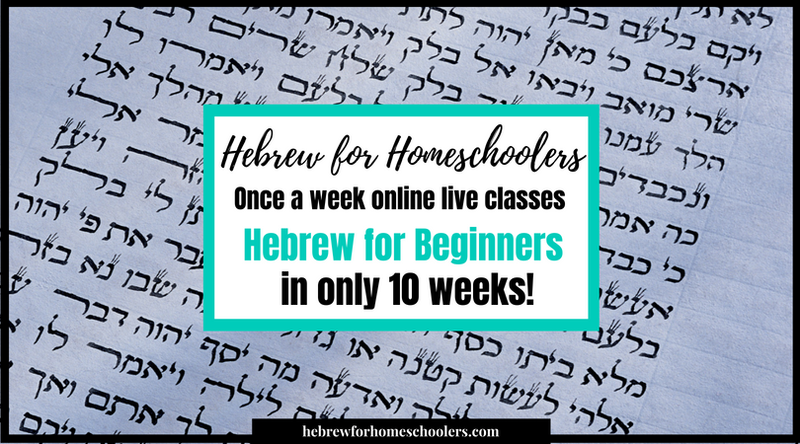 What if learning Hebrew can open doors bigger than you could ever know in your life? What if this can bring you a personal revival like never before? Ana Willis from They Call Me Blessed is offering an online course live for 10 weeks this fall. Ana is uniquely qualified to teach this course. She lived in Jerusalem for 5 years. She studied at the Hebrew University for two years and graduated from the Isreal College of the Bible with a Bachelors of Arts in Bible and Judaic Studies. 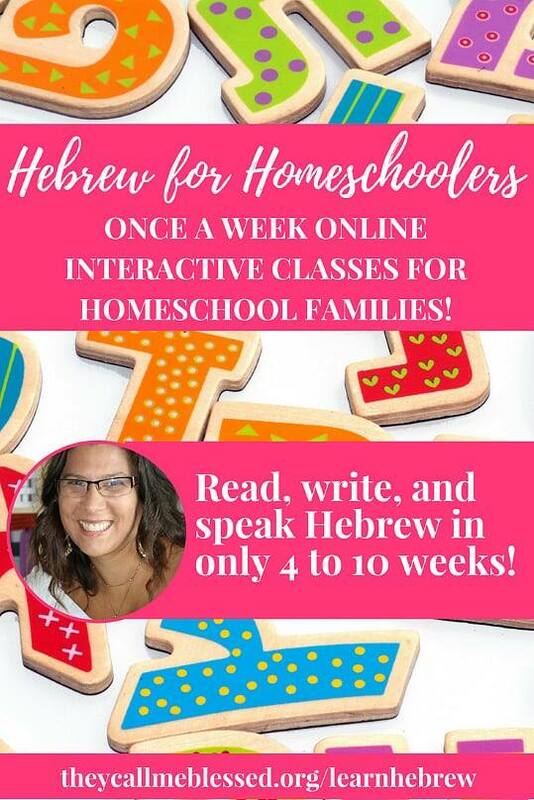 KIDS AND ADULTS WILL LEARN HEBREW WITH ANA!!! And so much more. Is Hebrew too hard to learn? No, not at all! According to Ana, it's easier than you think. In fact, one of the things that makes Hebrew so easy to learn is that the Hebrew letters always have the same sounds, unlike the English language that has many different sounds to many letters and it's so confusing with so many exceptions. - David Bivin, Understanding the Difficult Words of Jesus . 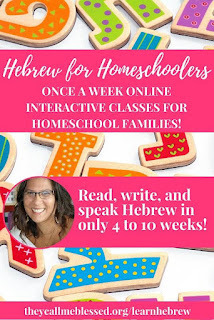 Enroll on Hebrew for Homeschoolers course this Fall! Classes begin on Monday, September, 3rd. $57/family until August 13. After that $77/ family.